I hope you have all had a good month, by the looks of how the weather has been recently summer is almost over. I am sorry to admit but I am actually really looking forward to fall!! This month I have been loving the Simple Kind To Skin soothing facial toner. 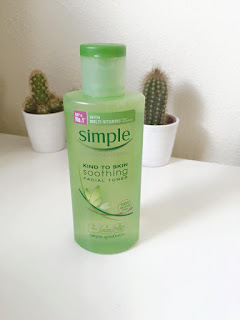 I have been using this to remove my makeup and to also tone my skin after a bath or shower. I really like this for removing my makeup but I find I aways need to use a makeup wipe to get the rest of my mascara off my lashes which isn't a problem for me. 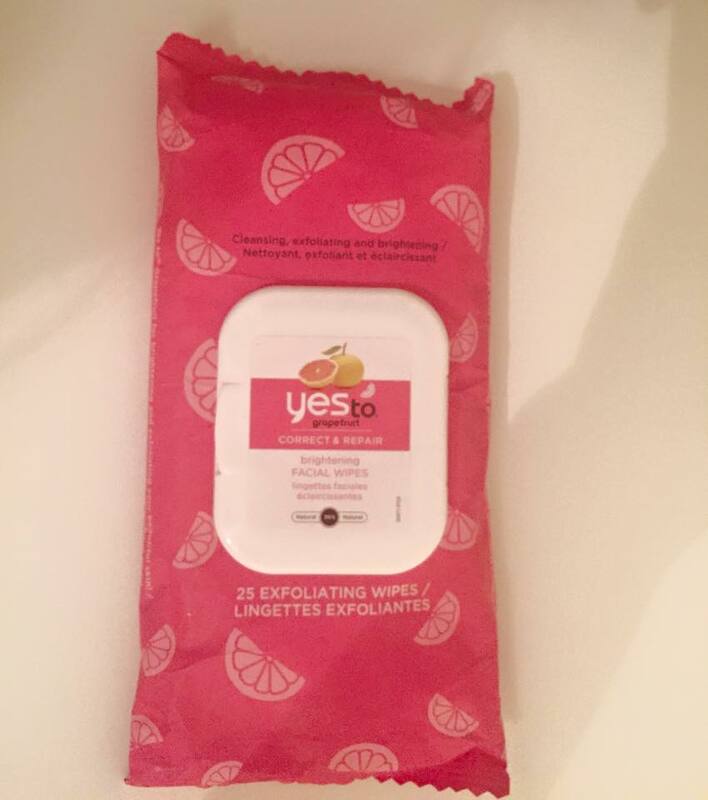 The facial wipes I have been using and loving this month are the Yes To Grapefruit correct and repair brightening facial wipes. I really like these wipes but they do tend to sting my face I will definitely carry on using the Yes To brand but I think I will try a different type of their wipes so see which ones work best for my skin. I am 100% in love with the Rimmel Good To Glow Highlighter and Illuminator (mine is in 003 soft glow) I have been using this on top of my prier but under my foundation. 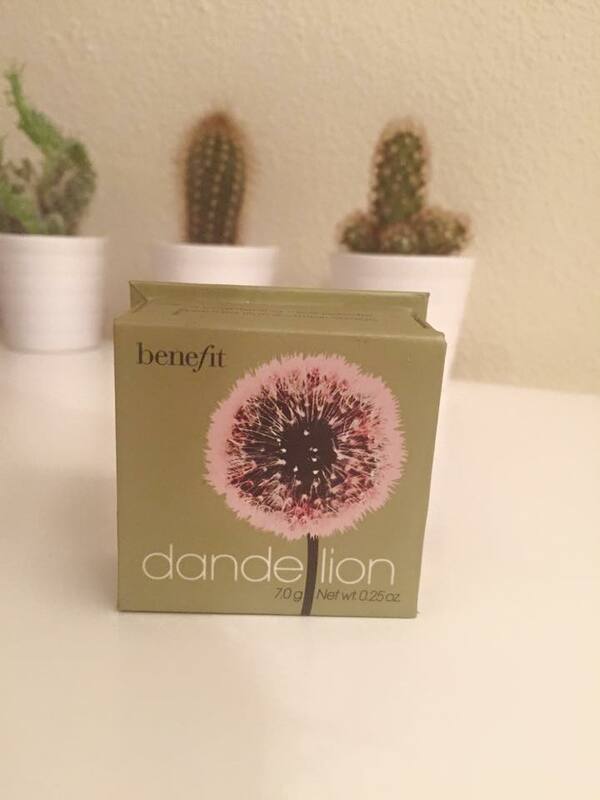 I have been applying this all over my face with my Real Techniques Complexion Sponge (which I also love) this product leave my skin with the most gorgeous glow ever! You have to give this a try! Oh my god! 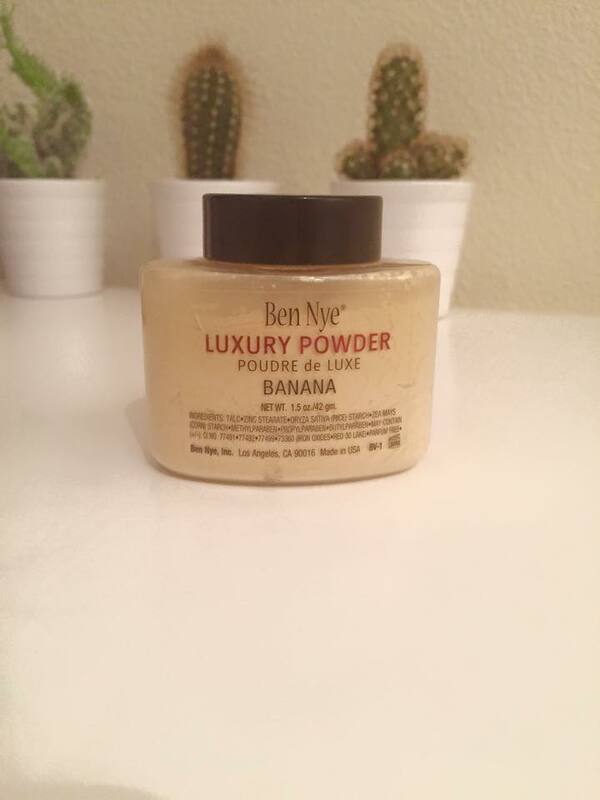 I know I am extremely late on the Ben Nye Banana powder band wagon but this is AMAZING!! 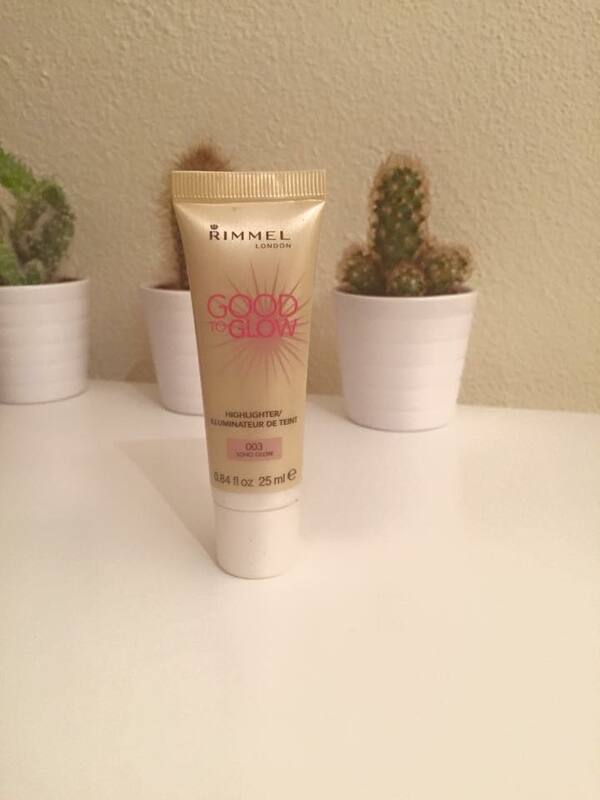 It doesn't quite give me the Kardashian highlight but it does leave my under eye area looking smooth and bright! I have large pores in that area so to find a product smooth them out and make them almost invisible is a total god send! You definitely need to try this out!!! I have a few of the Benefit Boxed blushed but I have found myself reaching for the Dandelion one most this month. It is the prettiest soft pink colour ever. I personally don't like the string blush so this is perfect for me but it is also build able if you do like the string blush look. I have extremely short and straight lashes so about 6 months ago I used to wear false lashes everyday. I ended up becoming really lazy so I stop but recently I have wanted to wear them again. 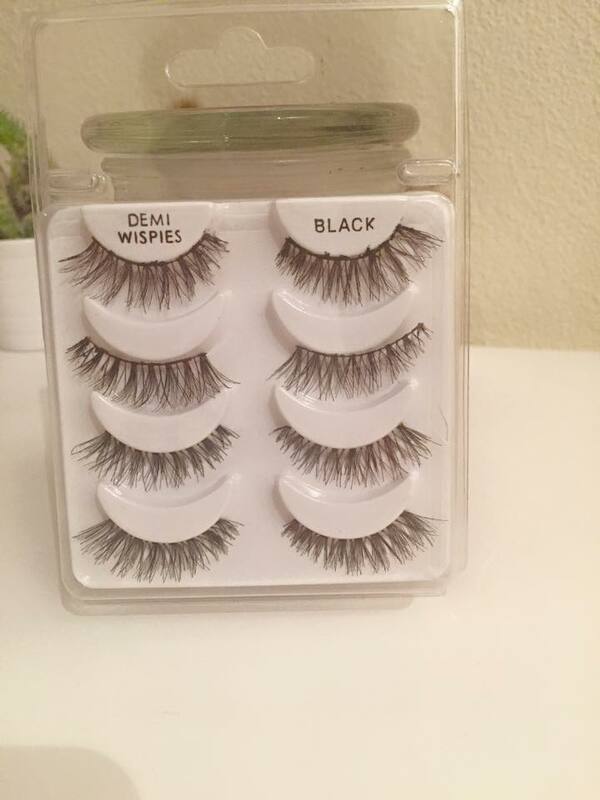 I know that the Demi Wispies from Ardel are extremely popular in the beauty community and now I know why. 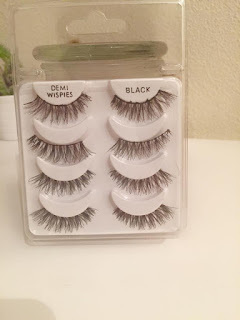 they are the most pretty natural but dramatic lashes ever! I know you're thinking dramatic and natural..how does that work. Well I honestly don't know but you must try them and you will defiantly know what I mean when you do I have really round eye and these lashed really suit me. I think that these lashes would suit any eye shape! Love Love Love!! 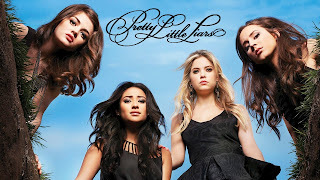 It is no secret that I am in love with Pretty Little Liars I have re-watched all of the seasons a couple of times. It is also the soul reason I pay for Netflix! but can I say (no spoilers) that the current season is getting so good!! It so horrible having to wait for new episodes! If you don't know what Pretty Little Liars is go check it out you will not be disappointed! I have also been obsessed with Jess Glynne-Hold my Hand. 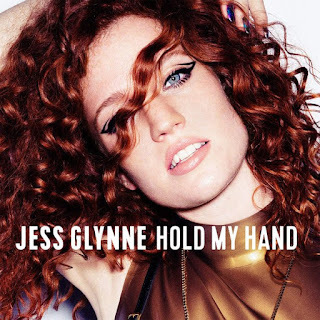 I have seen her live and she is amazing but this particular song is one that I can listen to again and again and not get tired of it!! 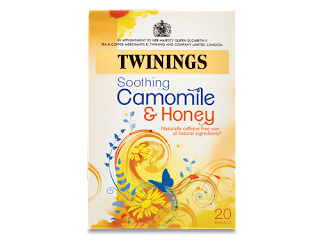 Lastly I have been loving Twinings Camomile and Honey tea. This tea is so good! It is so sweet and I have found myself wanting to have a cup of it to relax me in the evenings. It is so so yummy!!! I love favourites posts so much, and I have just been writing my own for July. You have a great list of things, I love pretty little liars too! I really like Simple skincare and Yes to ___ .. you should give blueberry a try, it's so moisturising. Finally, someone that is obsessed with PPL just like me! :) Hmm .. as for my favorite colour .. I like purple! I used to love pretty little liars.... now the story line is getting so crazy I can hardly follow it!